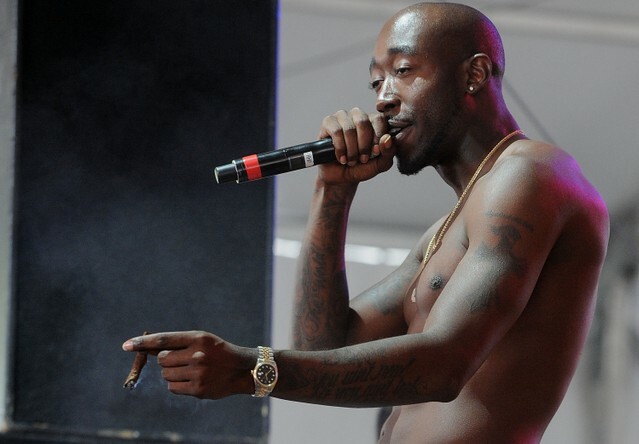 Freddie Gibbs and Madlib have released “Bandana,” the second single off their forthcoming sequel to 2014’s Piñata. The grisly, dungeon cellar boom bap production by Madlib has heavy bass kicks and ghostly pianos that are a perfect canvas for Gibbs to rhyme fiercely with the savvy street bravado that fans have come to expect from him, while featured rapper Assassin’s patois-infused flow jumps the record up a notch. It’s an especially good listen on headphones where the subtleties of the production become much more pronounced. “Bandana” is the title-track of the new project that has been anticipated since Piñata was released five years ago. “Bandana” first appeared as the B-side on the exclusive vinyl for “Flat Tummy Tea,” the first single released by Gibbs and Madlib last month. Bandana is still slated to premiere sometime this year, though an exact date has not yet been announced. The record will be Gibbs’ first since last October’s Fetti, his collaboration with Curren$y and The Alchemist; he also released the excellent mixtape Freddie last June. Meanwhile, the last full-length album produced by Madlib was 2015’s Bad Neighbor with M.E.D. and Blu. Listen to “Bandana” below.